A supporter of economic growth, EDASC contracted BrandQuery to update their brand identity. In the process, BrandQuery recommended renaming the organization, using their acronym as their primary identifier. Swing Into the Holidays: An annual dance and auction put on by EDASC to celebrate the holiday season. BrandQuery was contracted to develop the event’s brand identity. EDASC Economic Forecast Dinner: EDASC holds the annual Economic Forecast Dinner, with a nationally recognized economist sharing predictions for the upcoming year. BrandQuery developed this brand identity with the visual question – a bull or a bear for the year ahead? EDASC Golf Tournament & Wine Festival: A popular golf tournament that attracts the who's-who of business, and features a wine festival at tournament's end. BrandQuery was contracted to develop the event identity. Schmooze Fair: An event identity developed for EDASC by BrandQuery. Schmooze Cruise: A matching identity was developed to promote an annual tour of area businesses. 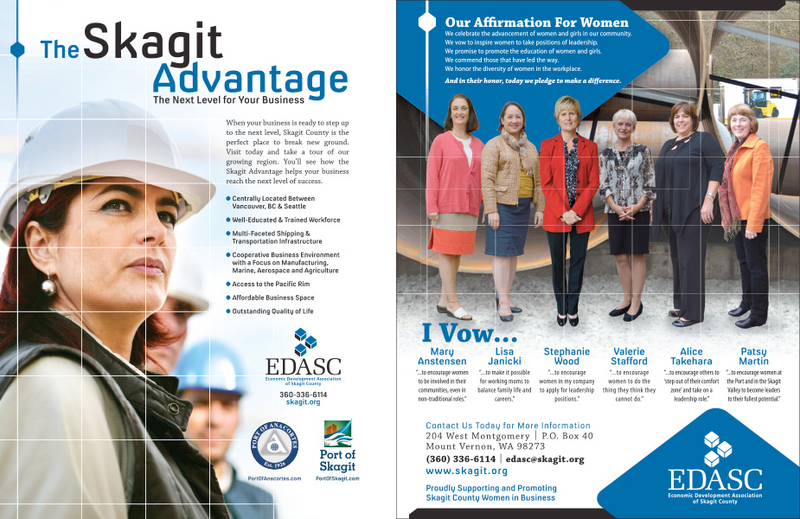 Print materials to promote EDASC.